Living is Beirut, Lebanon, Carrie Beisler is founder and co-director of the American Lebanese Suzuki Talent Education Program (ALSTEP). Founded in 2017 with co-director Tony Moussa, ALSTEP is the first Suzuki program developed in Lebanon. The ALSTEP program is committed to excellence at a young age and offers violin instruction and musical education to students starting as young as 3 years old. Providing a well-rounded education, ALSTEP takes students through a journey of music making from a sound pedagogical foundation to the highest advanced levels of playing. Carrie also teaches at the Lebanese National Higher Conservatory of Music as a Suzuki branch of the ALSTEP program. 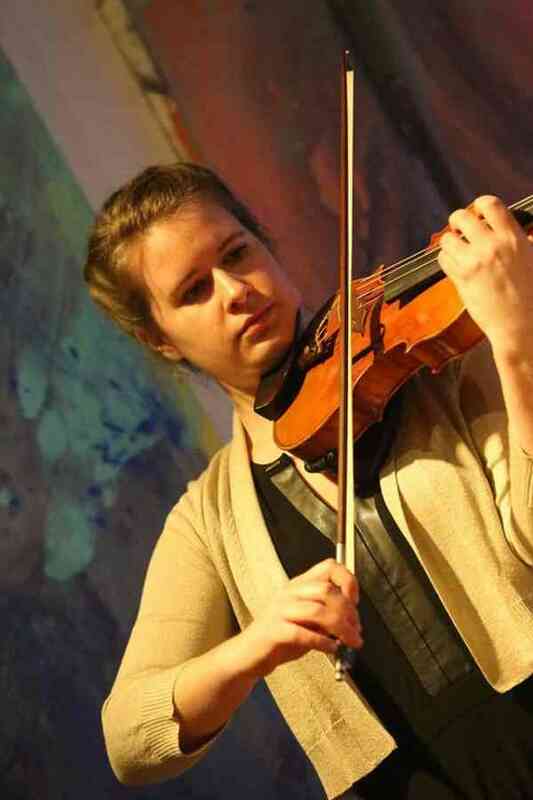 Growing up a Suzuki student, Carrie began her violin studies at age four with Nancy Lokken at the Augsburg College Suzuki Education Program in Minneapolis, Minnesota. She received a Masters of Music with a focus in Suzuki Pedagogy from The University of Minnesota studying under Professor Mark Bjork and completed her Bachelor of Music from The University of Iowa under the instruction of Dr. Scott Conklin. Carrie has been an active member with the Suzuki Association of the Americas for the last 10 years and co-presented at the 2014 SAA conference which resulted in a series of publications in the SAA Journal under the title “Metamorphosis from Student to Artist Teacher”. In addition to her long-term training with Mark Bjork at The University of Minnesota, Carrie has taken courses with Christie Felsing, Nancy Jackson, Alice Joy Lewis, and Carol Dallinger. Carrie served on staff of the Colorado Suzuki Institute in Beaver Creek, CO for seven years, the last two as assistant and co-director of the institute. She is an active performer through the US, both in solo performances and in professional orchestras. Her most recent recital collaborations were with with Linda Perry, Millie Ho, and Vera Parkin. Prior to moving to Lebanon, Carrie taught as a full-time faculty member at Southern Illinois University-Edwardsville Suzuki Program in Edwardsville, IL and previous to that she taught Suzuki violin and group classes at the St. Joseph School of Music in St. Paul, MN. As an undergraduate and graduate student, Carrie received multiple music awards and scholarships and was an active participant in chamber groups and in working with composers. Additional mentors and teachers who have enriched her musical education are: Paul Kantor, Doris Preucil, William Preucil Jr., Brian Lewis, Ranata Knific, Augustin Hadelich, and Joan Kwon. In chamber music, she studied under Tom Rosenberg, Stella Anderson, Kathe Jarka, The Maia Quartet, and The Parker Quartet.